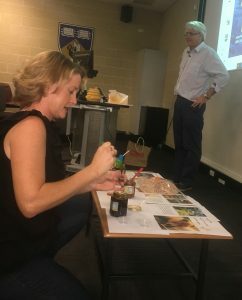 Low prices for honey bee products originating from Australia do not reflect their true value as unique and pure. 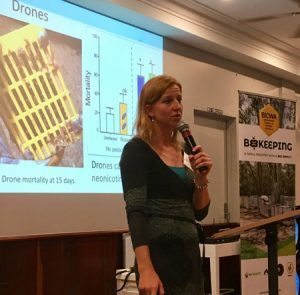 Endemic flora, together with regulated isolation, has created the opportunity to produce rare honey bee products from healthy bees, and develop a niche market. 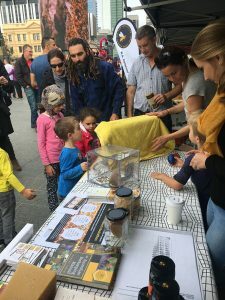 This federally funded Cooperative Research Centre (CRC) will resolve industry problems that limit both the value and expansion of the Australian honey bee products industry. The CRC will also contribute to disease insurance policies to address a major global threat to our Australian honey bees. 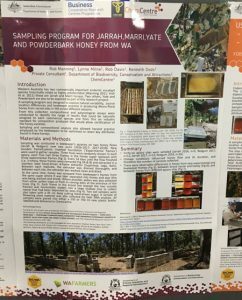 Continue reading "Making a Beeline for the Flowers: A preliminary economic analysis of WA’s migratory beekeepers"
Continue reading "CRCHBP to feature in KnowHow magazine"
Continue reading "ChemCentre Research Day 2018"
Continue reading "BICWA 2018 Conference"
Continue reading "CRCHBP at the Honey Festival"
To make Australian honey renowned as unique and pure, and priced for its rarity. The CRC for Honey Bee Products is trans-disciplinary across four programs, driving innovation within the industry to meet export demands. The hive site program will help protect existing sites, inform bee hive movement and rehabilitate land into new high-value hive sites. 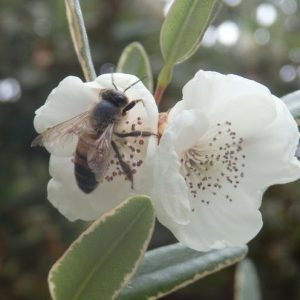 Australian Manuka honey will be a new product. 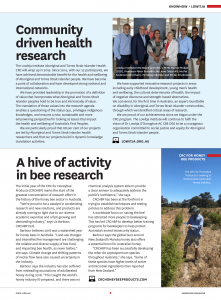 To contribute to honey bee health, the CRC will work towards future-proofing the bee industry and developing a catalogue of disease markers. The honey bee product program will add value to the industry through developing honeys from known floral sources for the export market. This program will use all the information from the CRC to develop a Chain of Custody. This will be linked to developing and testing product quality labels in the export market.